Is fear of the dentist ruining your smile? Are you petrified of the dentist? Do you feel sick, experience palpitations or get sweaty palms at the mere thought of dental treatment? Have you ever missed a dental appointment because of uncontrollable fear? Or perhaps you attend appointments but feel anxious the entire time? A little over one in ten adults have extreme dental anxiety. So, with dental anxiety such a common issue, how do you overcome it? The good news is that, here at Clifton Dental Studio, we help those with dental anxiety all the time. We enable them to overcome that fear and get the treatment they need to restore their dental health and often their self-confidence too. The entire team at Clifton is trained in the latest *pain free dental techniques and technologies to ensure your visit is as comfortable as possible. 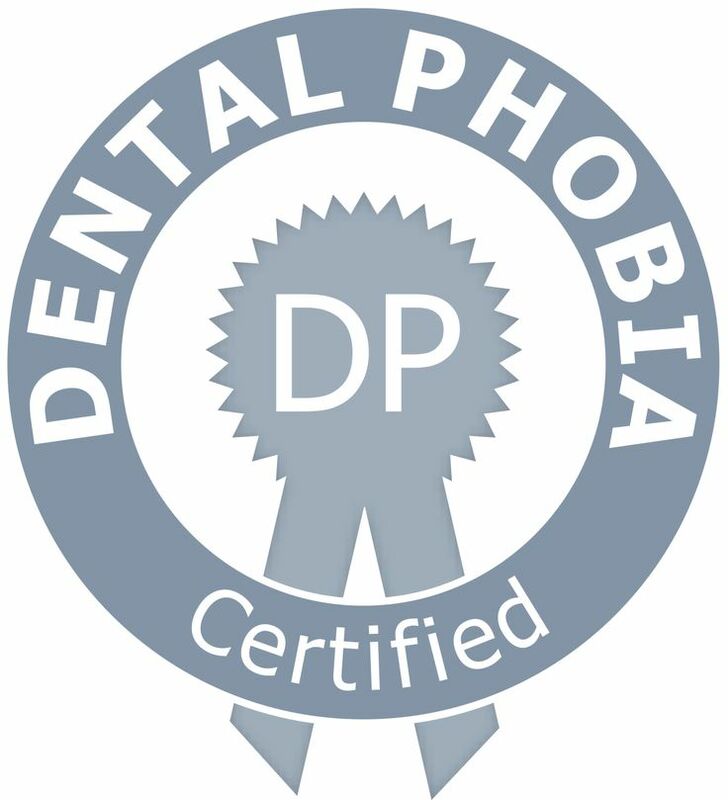 Furthermore, Practice Owner Neil Gerrard is a Certified Dental Phobia Dentist. It’s not just about pain, many people dislike the smell or the sound of the dentist as well. Again, not to worry! Our practice is not like any other. We pride ourselves on creating an environment that is calm and caring. We really do take the stress and worry out of dentistry. I had a phobia of going to a dentist at a young age; I was in fact terrified of going! I researched on the internet and found Clifton Dental Studio. I was so nervous, but I made the giant step and booked my consultation with their Treatment Coordinator. Not only was I petrified of treatment, but eating was also difficult. Drastic action was needed. I hated my smile and wanted it to be change. Sedation helped me through the long appointments and really did make all the difference. I would recommend both sedation and the treatment to all my friends most highly. I had hated my smile and was convinced I looked awful. I also developed a morbid fear of the dentist during my teens which just got worse and worse! No matter how bad my mouth looked, it seemed preferable to a visit to the dentist. I don’t think I realised just how much better my smile could become. I am not exaggerating when I say that having this treatment has changed both my self-image and my life in general. I cannot thank Neil and the team at Clifton Dental Studio enough. Not only do I now not fear the dentist, I actually do look forward to it! Sedation through inhalation is suitable for mild to moderate/severe anxiety in both adults and children. This technique involves the administration of “Gas” through a small mask fitted over the nose. Within just a few minutes you will start to experience a euphoric feeling while feeling quite comfortable at the thought of treatment. This is a very safe technique which also possesses the added bonus of offering pain relief and therefore reduces or eliminates the need for local anaesthetic, for example to manage sensitivity during hygiene treatments. Oral sedation can be a very effective way of reducing anxiety. It is most suited to those with mild to moderate anxiety (those patients who force themselves to visit the dentist, but feel anxious and uncomfortable the entire time). This technique involves the patient swallowing a drug, normally 30 to 60 minutes before the start of dental treatment to induce a relaxed state. As a patient you are conscious and still aware of what is going on around you, but feel more relaxed and better able to cope. For many the sensation is like that of being a little tipsy following a good bottle of wine, but without the hangover! Desensitisation techniques work well for those who experience mild to moderate anxiety. Many of our anxieties develop through a learned association between a particular situation and an object or stimulus. For example, we learn from a young age that an injection is associated with pain. Desensitisation therapy aims to restore a patient’s confidence and trust by teaching or reinforcing a new positive experience. For example; if a patient undertakes a number of treatments requiring dental anaesthetic and the patient feels no pain from each injection, the patient will not only start to trust the dentist resulting in less anxiety, but the link between the painful injection and visit to the dentist is softened or even broken. The patient is desensitised to the previous negative experience. These techniques may be used independently or in conjunction with hypnotherapy and CBT for those who experience a greater level of anxiety. If you have finally summoned up the courage to tackle your fear of the dentist, then one or a combination of these treatments will enable you to achieve the healthy smile you have always dreamed of. Additional information and help is available from a number of sources, including books, such as ‘There Is No Perfect Dentist’, available to purchase online now at Amazon, or directly from Clifton Dental Studio. A range of options are now available at the Clifton Dental Studio to help even the most fearful individuals undergo treatment. From our desensitisation treatments to our sedation service, we guarantee complete comfort during your entire visit.